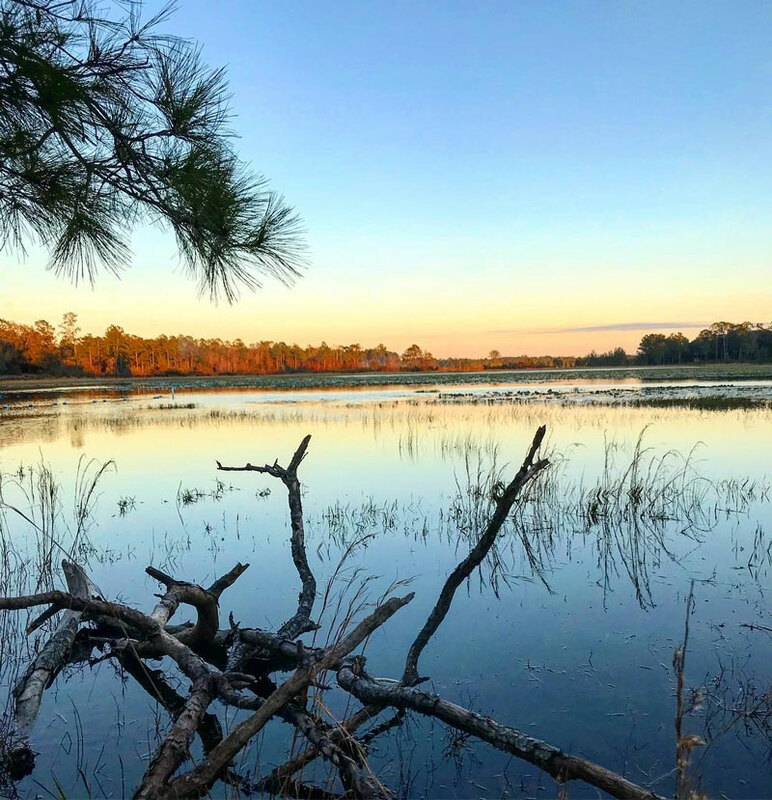 Experience the real Florida – Mike Roess Gold Head Branch State Park. 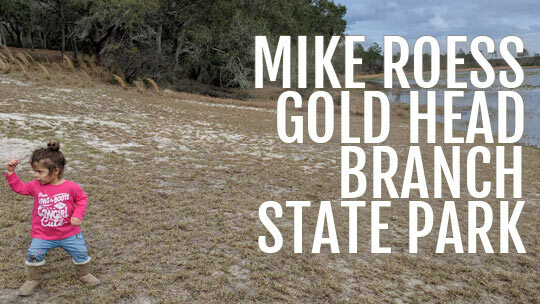 Mike Roess Gold Head Branch State Park is one of Florida’s oldest state parks. The park was created by the Civilian Conservation Core in the 1930s, opening its doors on 1941. With a total of sixteen vacation cabins overlooking scenic Little Lake Johnson, and nine of these cabins were built by the Civilian Conversation Core, Mike Roess Gold Head Branch State Park is a city-free and historical getaway for the everyone. 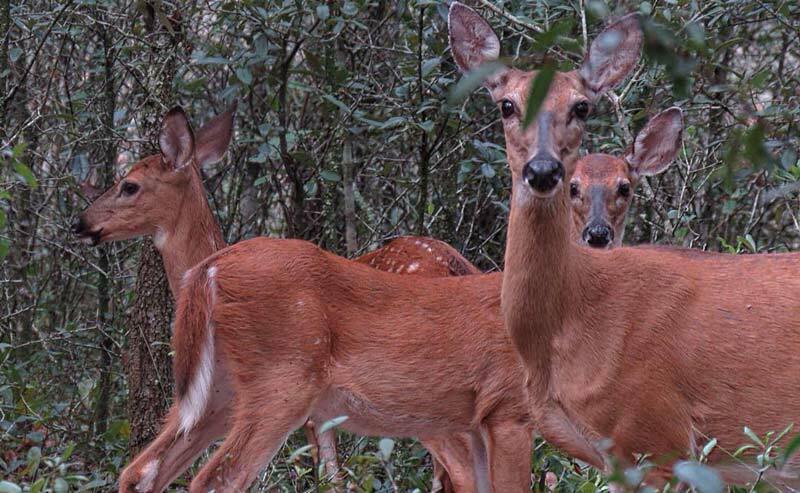 What else can you find in Gold Head State Park? What’s not to love about camping outdoors? You’ll be surrounded by nature, experiencing a low-tech getaway, and unwinding from the everyday grind. 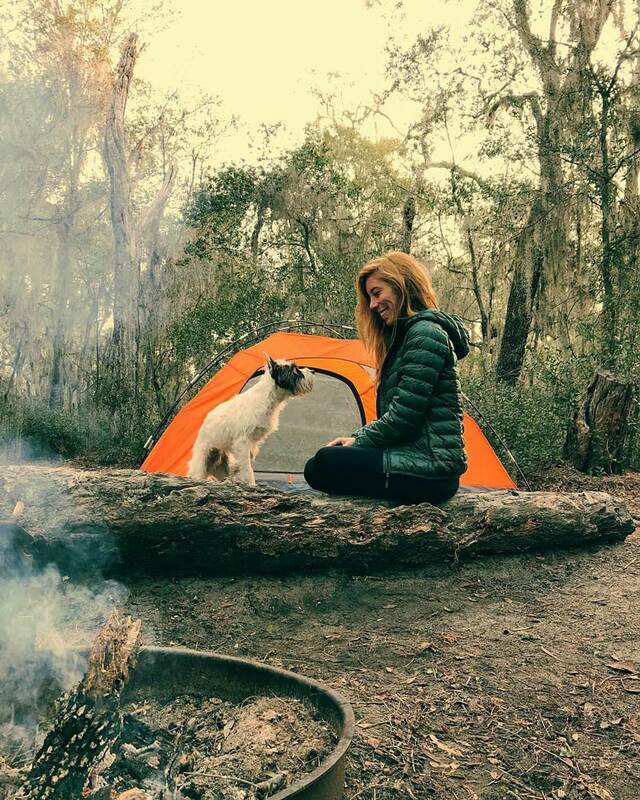 Mike Roess Gold Head State Park offers guests two primitive campsites. Campsites include picnic table, fire ring and a pavilion. You won’t find water or electricity. Of course to enjoy the primitive campsite you must be able to hike to it, which is about a 3/4 mile walk. Learn more about primitive camping at Mike Roess Gold Head Branch State Park. Great news pet owners! You can bring your fur-baby with you hike Gold Head’s natural scenic trail; unfortunately though, pets are not permitted in these areas: inside of any buildings, the cabins and cabin area, the playground, the primitive group camping area, the primitive camping area, the swimming area, the beach, and the lake. But they get to enjoy being in one of Gold Head’s 73 campground sites, which are equipped with a picnic table, fire-ring, grill and potable water, also 20 and 30 amp electrical service are available in certain sites. Fishing, canoeing, and swimming can be done at Gold Head Branch State Park. Canoes are available for rent, swimming & fishing can be done at Little Lake Johnson in the park, though fishing is prohibited in Sheelar Lake, Deer Lake, and Pebble Lake (the other lakes in the state park). 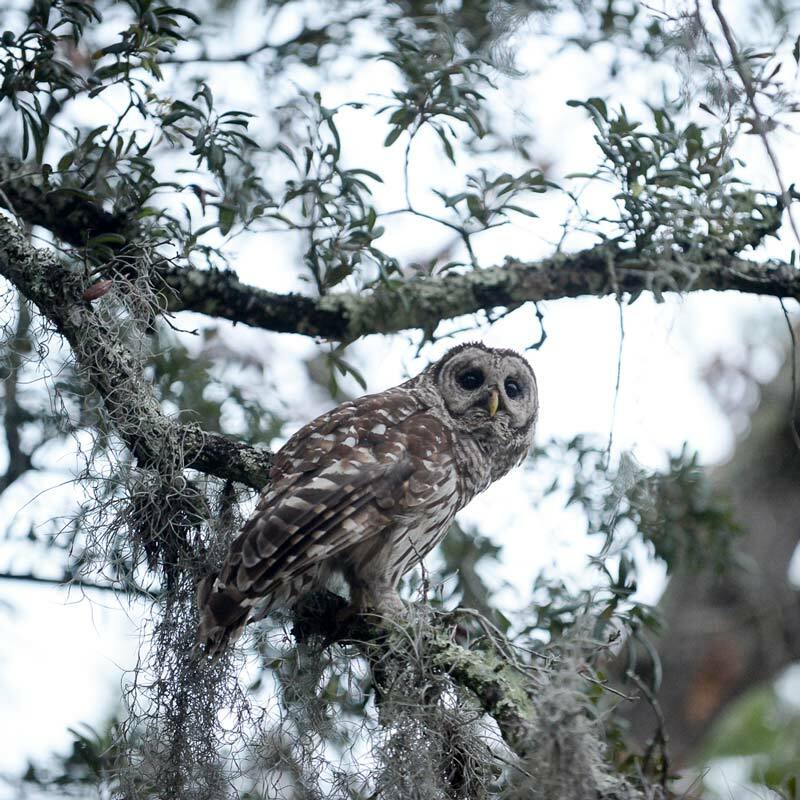 You’ll see many cool things at Gold Head Branch State Park, but the coolest would probably be the woodland creatures that live at the park. 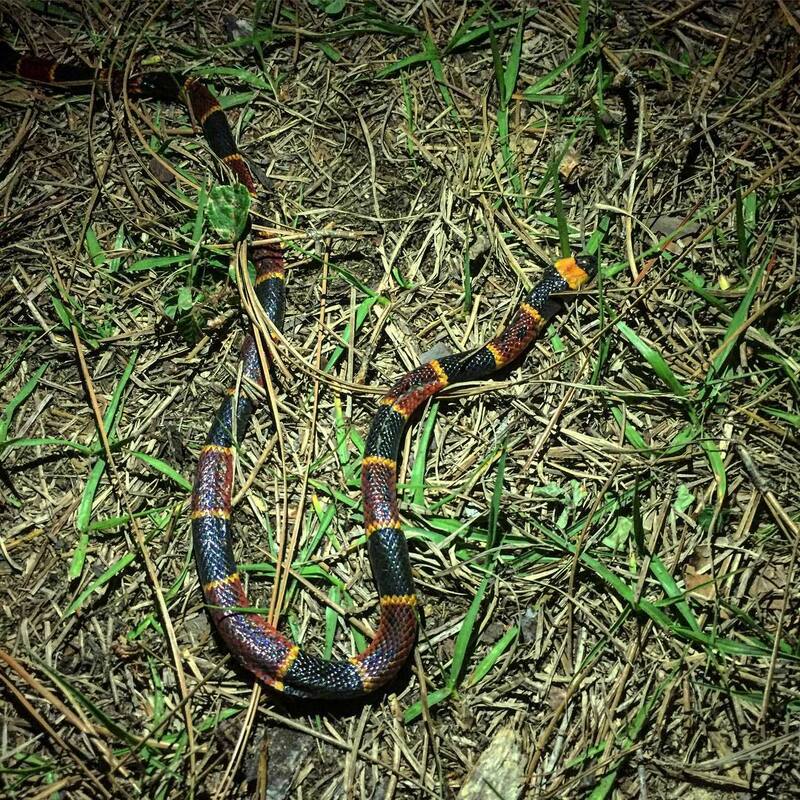 The animals you’ll have the opportunity to see are: gray squirrels, cottontail rabbits, and white-tailed deer, gophers, gopher tortoise, southern fence lizard, six-lined racerunner, green anole, as well as many kinds of snakes. 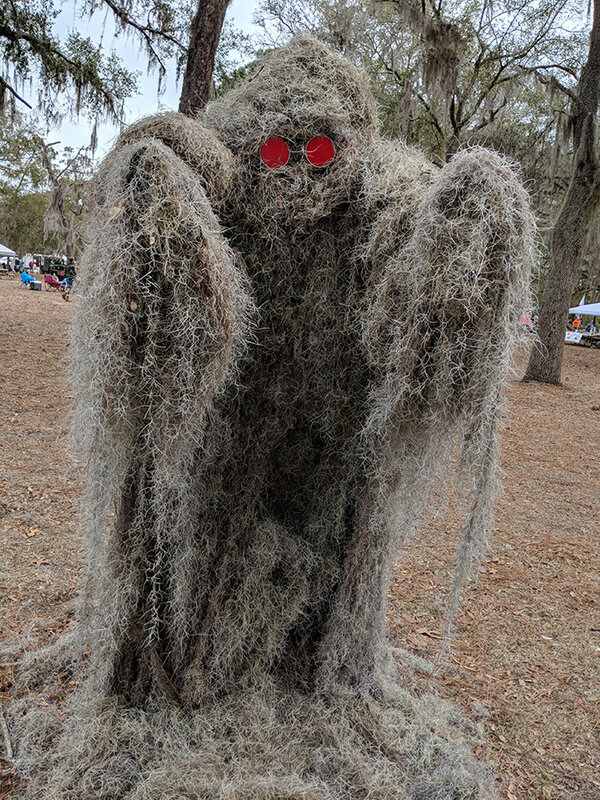 Legend has it (well, at least the Moss Man’s origin tales) that Moss man was once a young Air Force fighter pilot stationed at MacDill Air Force Base in Tampa. During one of his flying training maneuvers, the plane unexpectedly malfunctioned and crashed into the forest. The young pilot managed to escape from the burning debris, but his flight suit was set ablaze and began melting to his skin. Frantically, the pilot tried desperately to extinguish the flame by rolling on the ground. As he did, the Spanish moss on the ground began to solder to his sizzling skin. The young pilot panicked and went into a frenzy; terror-strickened, the young pilot’s eyes began to redden as the blood raced to his head. The pilot, despondent about his physical appearance and situation, left into the woods to live the remaining years of his life as Moss man. 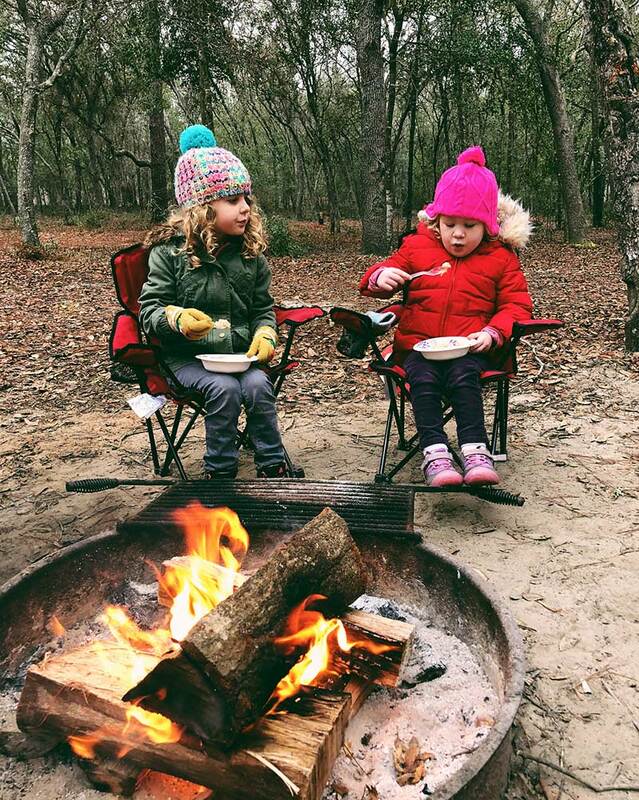 FYI: When at the park it is customary to tell campfire stories…be prepared to tell your scary tale! 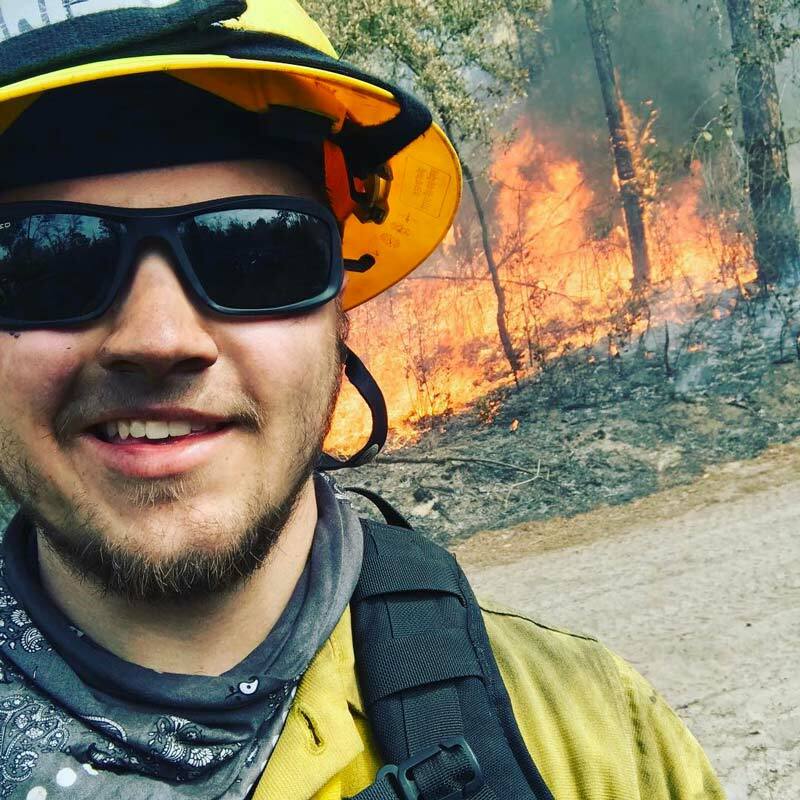 Controlled fires are prescribed burns that are intentionally set for forest management, farming, prairie restoration or greenhouse gas abatement. At certain times of the year, sections of the park will be closed because of controlled fires. But don’t fret, there is much more park to be seen. You’ll just have an excuse to come back and check out the section that you missed. As all good things go, so must we. FYI: maximum stay at Mike Roess Gold Head State Park is 2 weeks. So enjoy the two weeks and visit the surrounding cities: like Keystone Heights, Gainesville & Jacksonville, and don’t forget to take a dip in one of the many Florida springs. Go deeper to learn more about Mike Roess Gold Head State Park with this interview from 50Campfires. 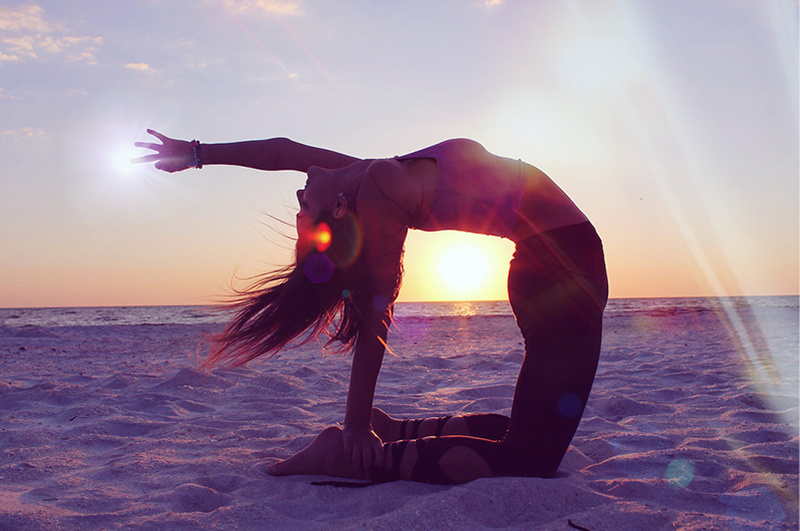 Yoga is widely used to increase health and help with relaxation. It’s an ascetic discipline, derived from Hindu. Today mainstream yoga doesn’t hold the religious groundings as it used to. But yogis do find that yoga’s teachings/practices help reduce stress and calm the spirit for a more positive outlook towards life. A combination of yoga and nature seem to be the perfect marriage; both are harmonious. Yoga’s goal is to achieve balance with self and the energy that surrounds us, while nature is harmony embodied. 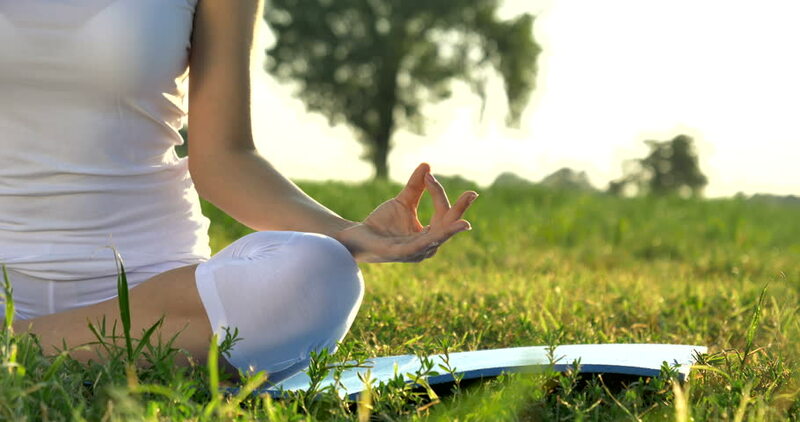 The connection between nature and yoga is fluid, they both mingle well and makes perfect sense to do a practice like yoga in a setting that is already in concert with its surroundings. I’m sure by the first two paragraphs you know where our list of cool yoga places was headed – you got it, nature! 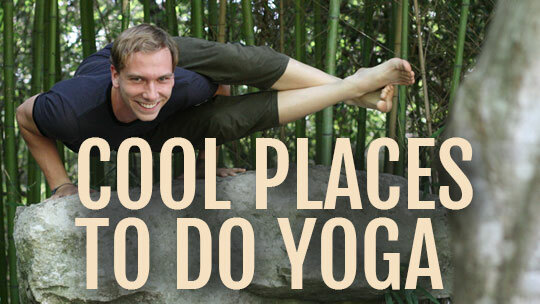 We’ve listed a few cool places in small towns to do yoga. 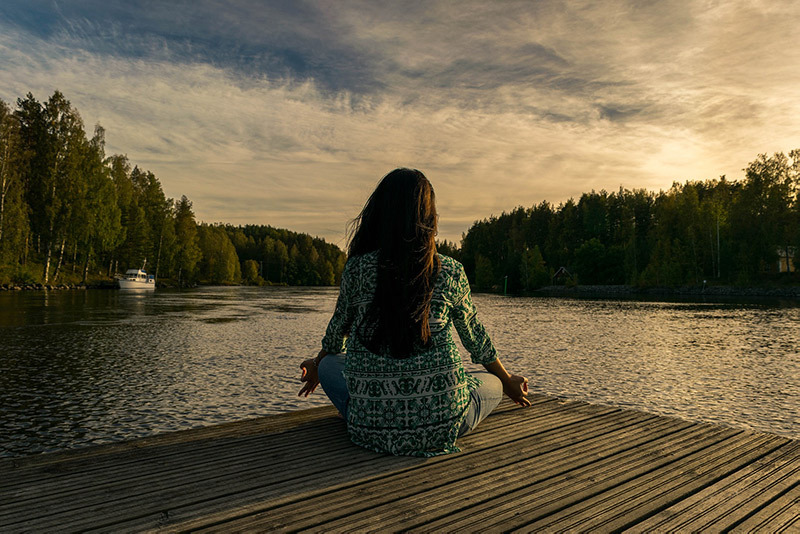 Lakes are a beautiful place to keep fit and enjoy nature while doing yoga. There are a number of yogis that use the calming attributes of water to heal and strengthen their lives and spirit. Even the sound of water is relaxing. Lakes offer serenity, and at most times, a cool breeze of fresh air to wash over you as you meditate at the lake’s shoreline. Tree hugger? Nah, just a loving outdoor yoga enthusiast. Surrounded by trees and critters you’ll notice as you preform your yoga moves the world simply slows down. The hundred year old trees that block the sun stand stoically beside you, tall and momentous. 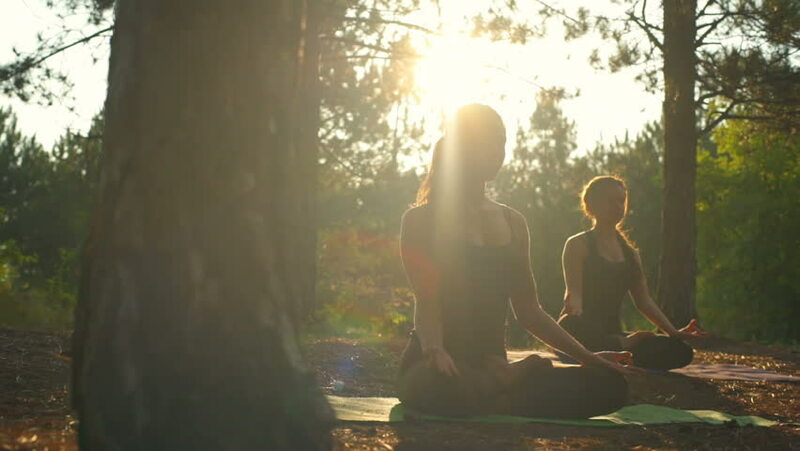 The ebbing sounds of leaves rustling will take your yoga to another level. 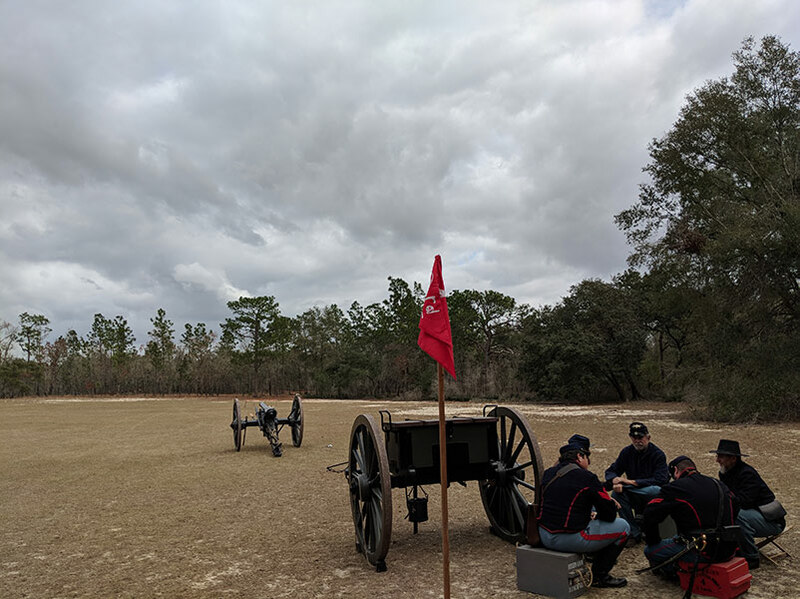 In Keystone Heights we are lucky to have a beautiful state park a mile away from downtown: Mike Roess Gold Head Branch State Park. There is about over five miles of scenic trail with several small park nature trails to lead the yogi into the wild. The park hosts a number of fauna and has a beautiful lake for those wanting a dip in the water after a yoga session. If you are blessed to have a beach in your small town, kudos to you. However, the majority of small towns are a drive away from the beach. In Keystone Heights, we fortunately have our own beach – Keystone Beach (which is Lake Geneva; the water has receded exposing the sandy shore, creating a beach). Keystone Heights beach is a beautiful setting for a round of Yoga. Just down the street from Keystone Height’s downtown is an actual wormhole – it literally takes you back into time! Well, it did this past weekend. 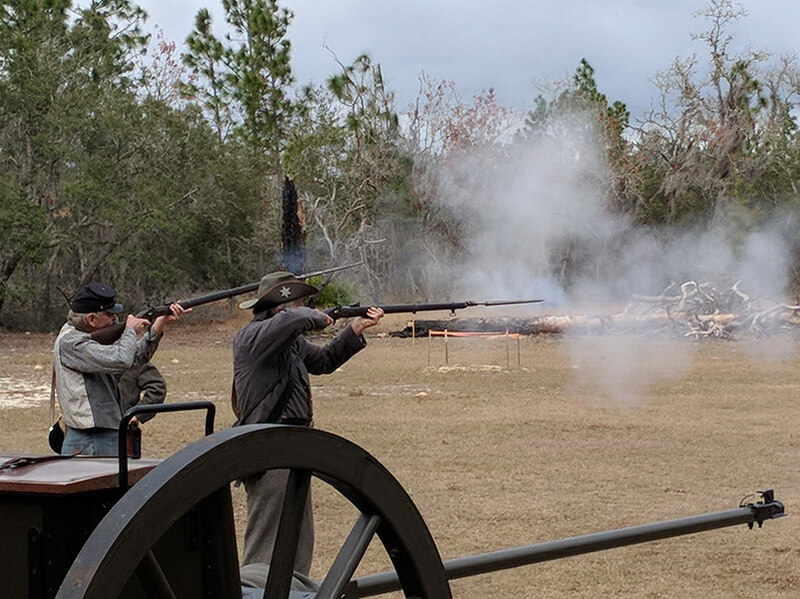 At Mike Roess Gold Head Branch State Park, one of Florida’s first state park (how befitting), the Yesterday’s Festival was held. 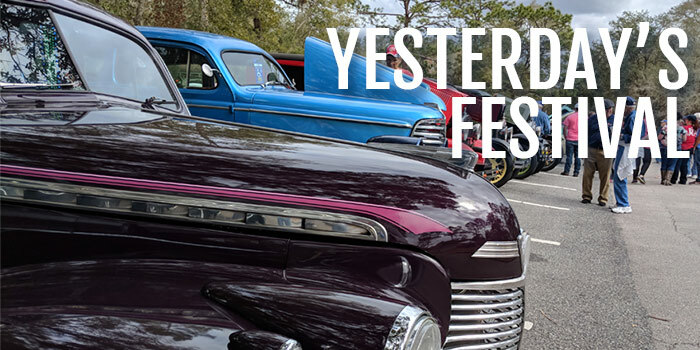 Yesterday’s Festival is a celebration of the past. From the old West to vintage tractors, the “Yesterday’s” was represented well. We’ve added a few pics and videos from the Yesterday Festival. Hope you enjoy! Resting for a spell before the big fight. 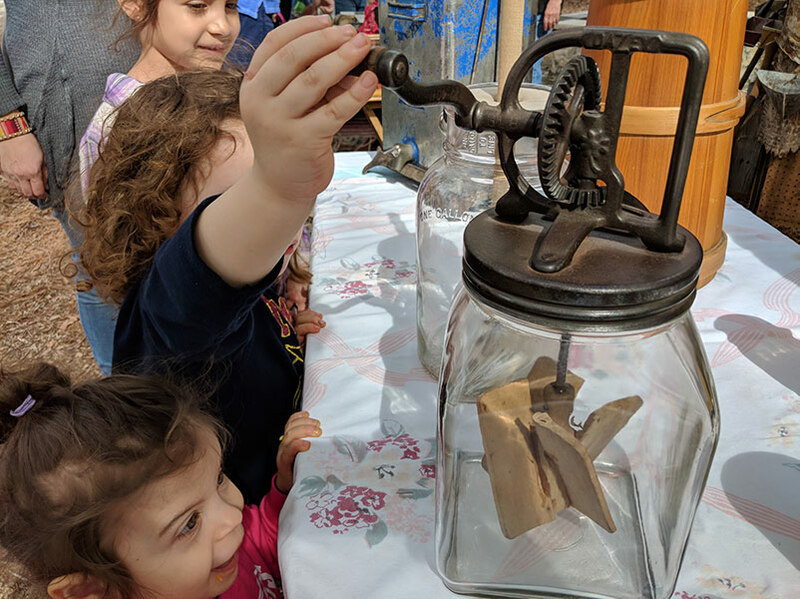 Churning butter with old tech! Iron skillet cooking a beautiful breakfast or lunch…not really sure. 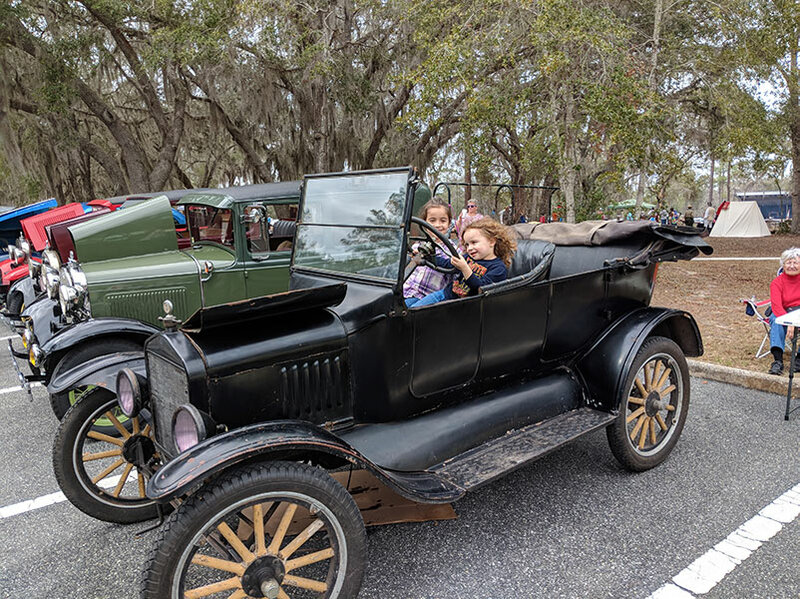 These two tried hot-wiring the Model T. Didn’t work. This guy usually hangs out in Keystone Heights. Moss Man! One of many weapons being shot in Yesterday’s Festival in Keystone Heights. This one is a Greaser Gun! 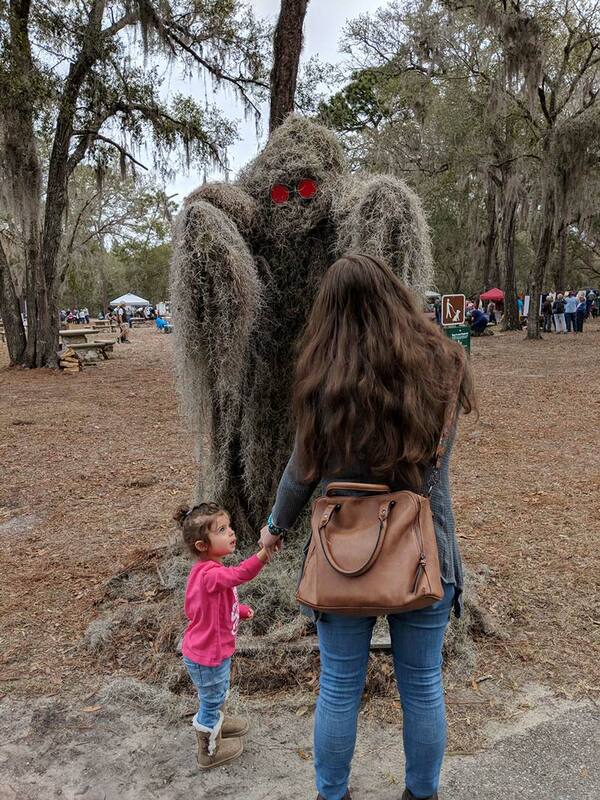 Have any pics from Yesterday’s Festival in Keystone Heights? Please send them over to us, we’ll place them on here.